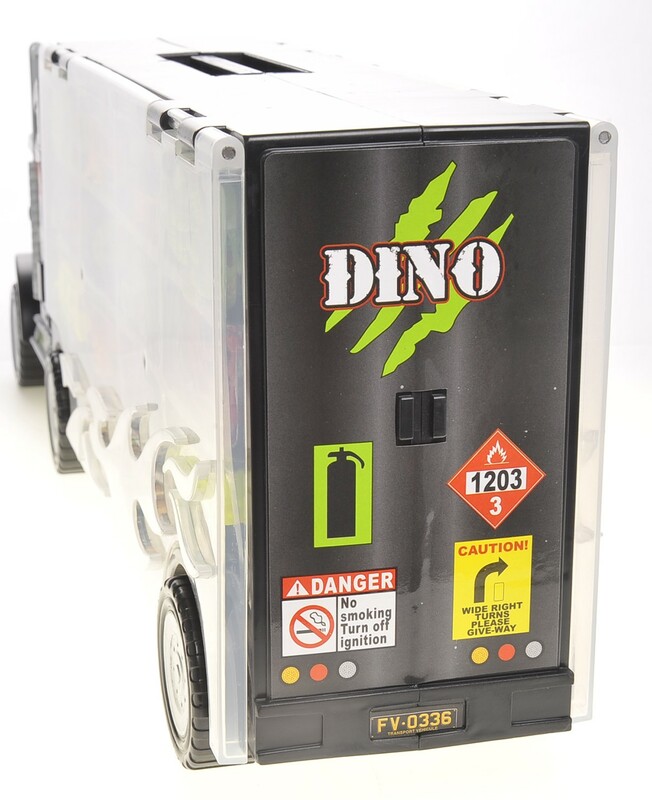 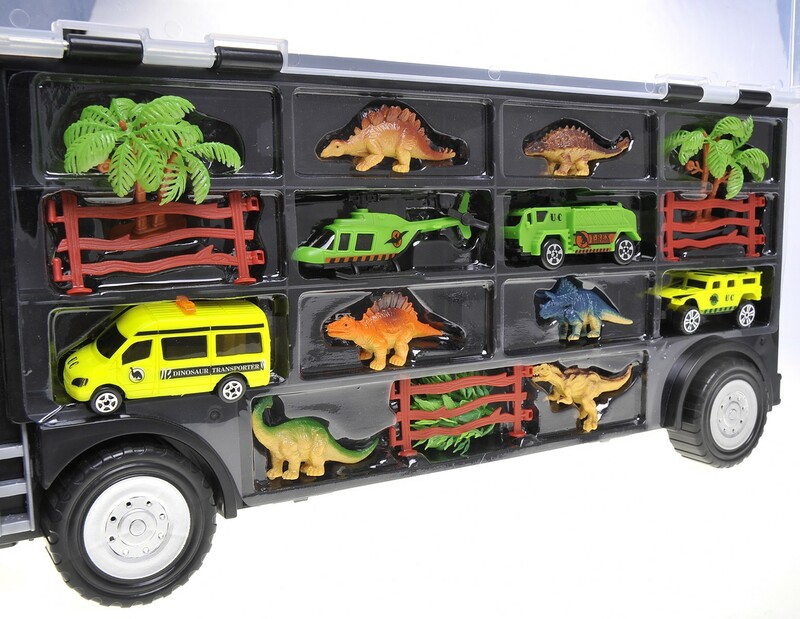 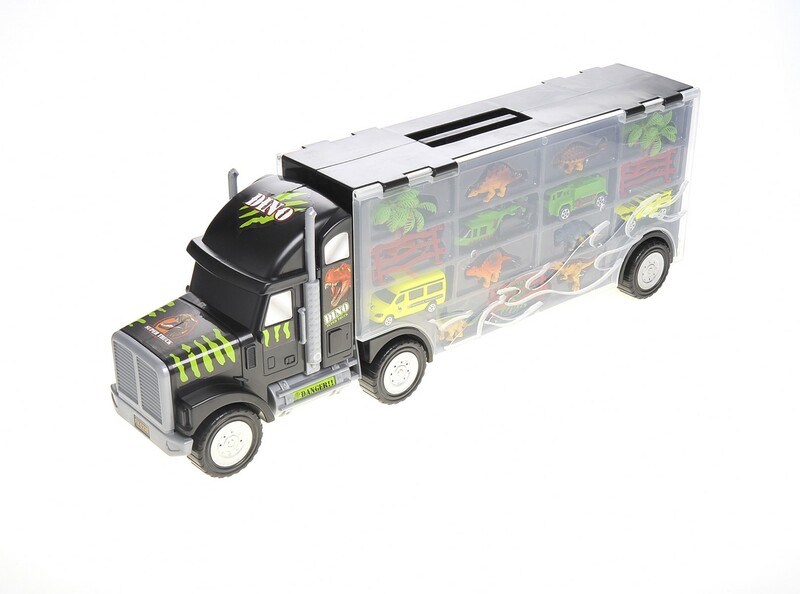 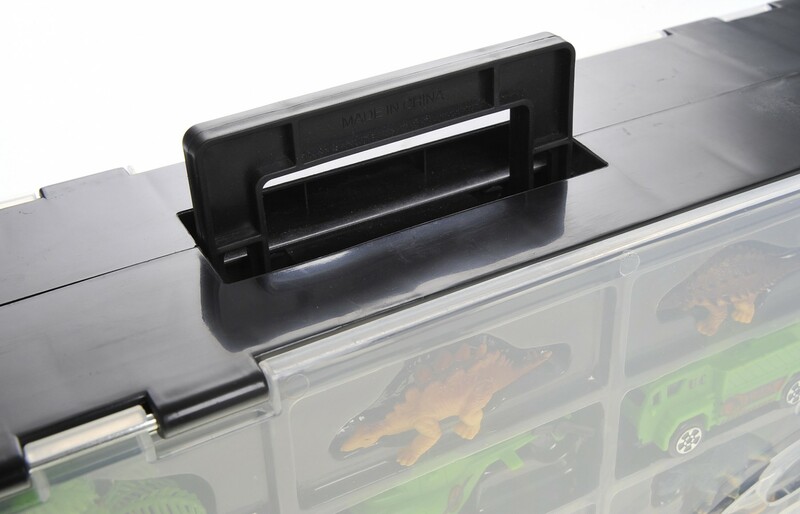 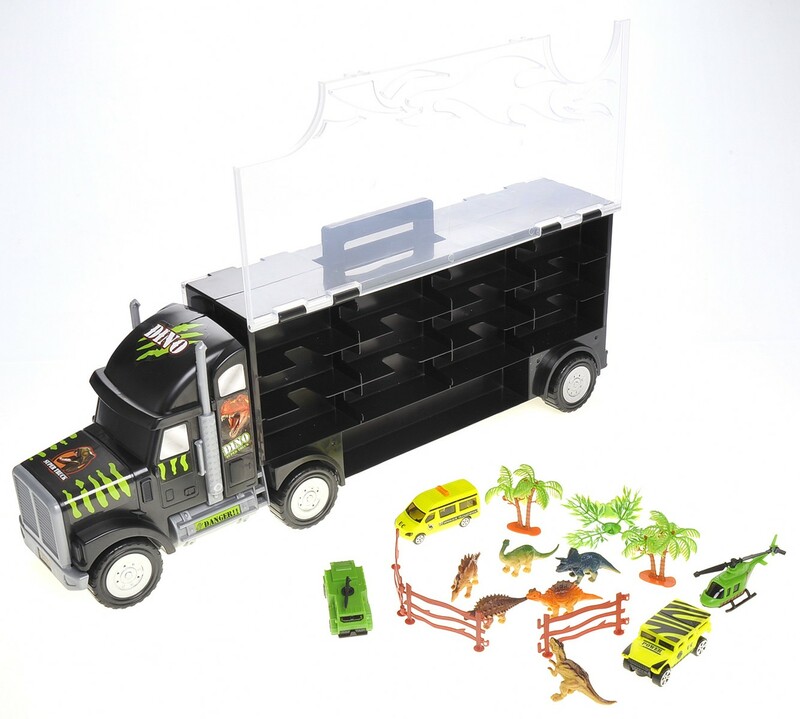 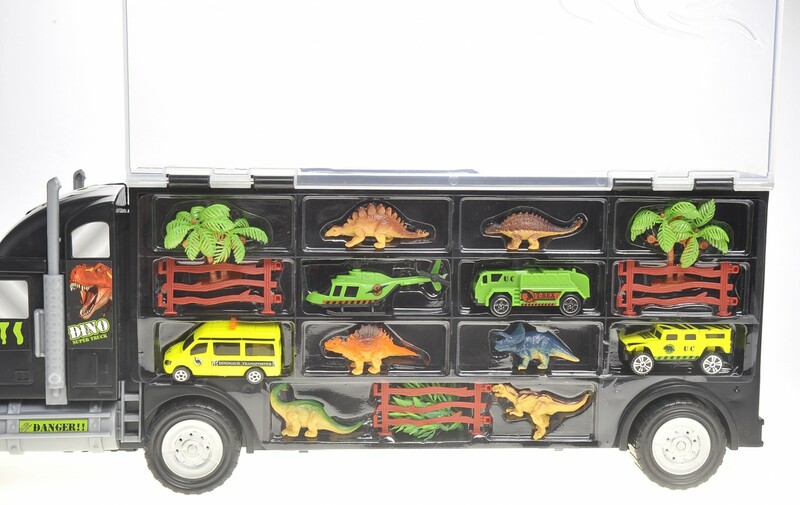 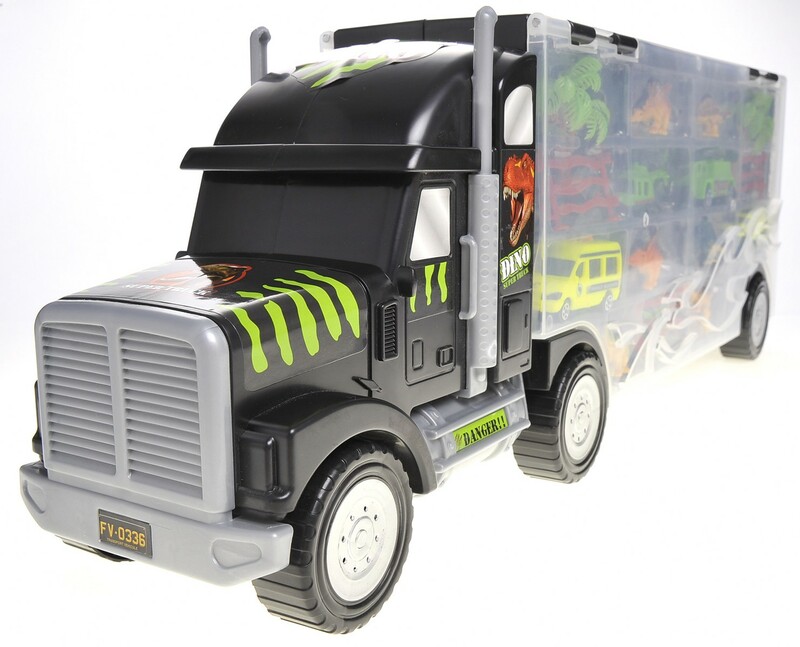 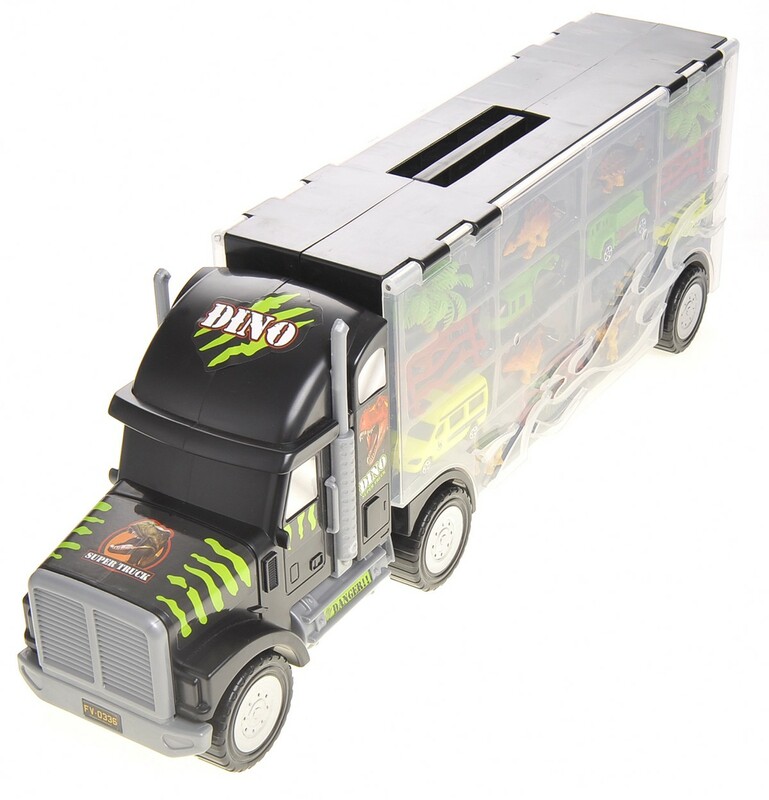 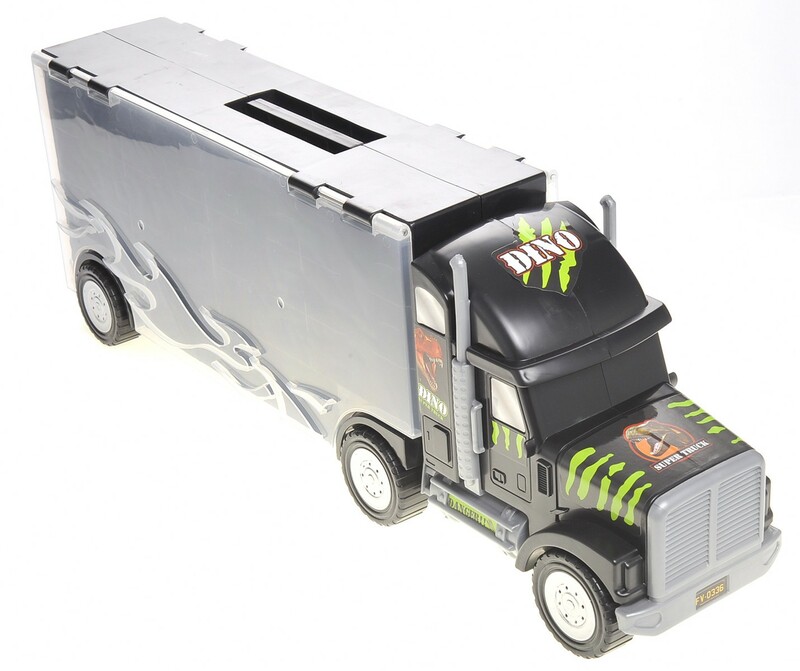 Master Box Dimension : 24" X 16" X 19"
Dinosaur Transport Truck with 13 Transportable pieces. 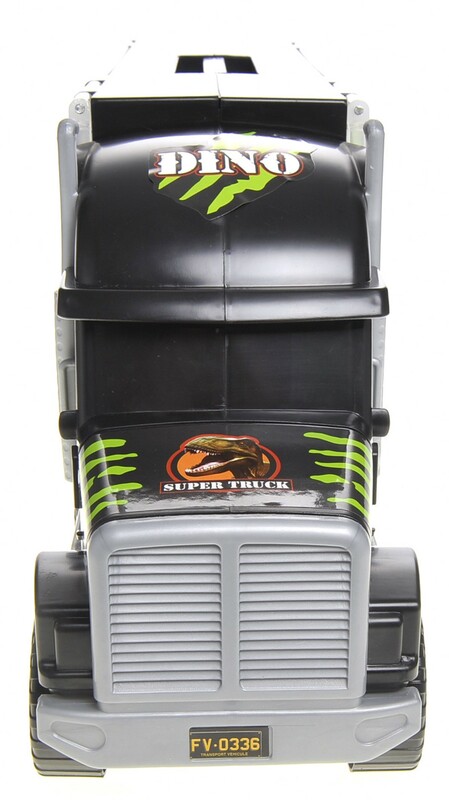 This truck will bring your kids back to the age of the dinosaur. 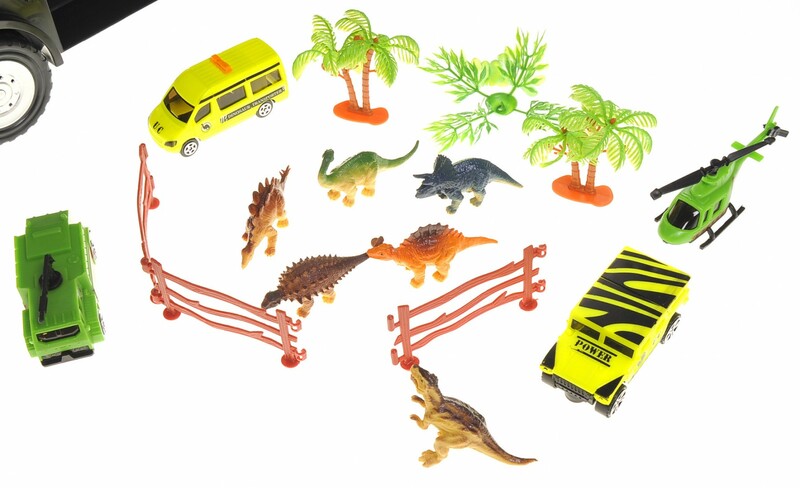 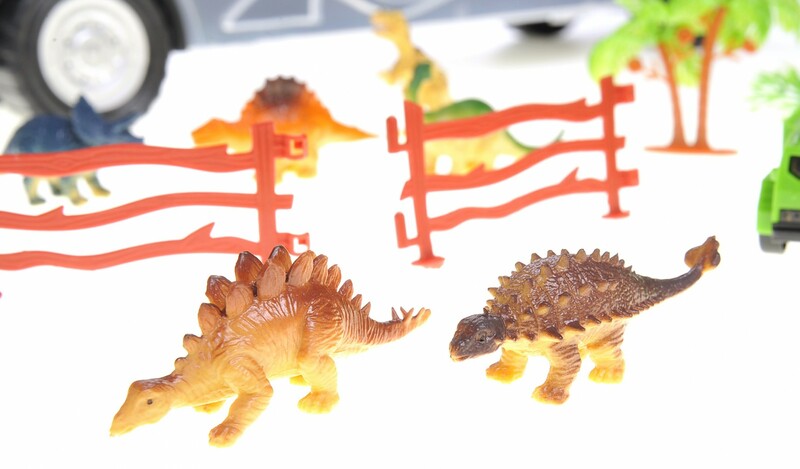 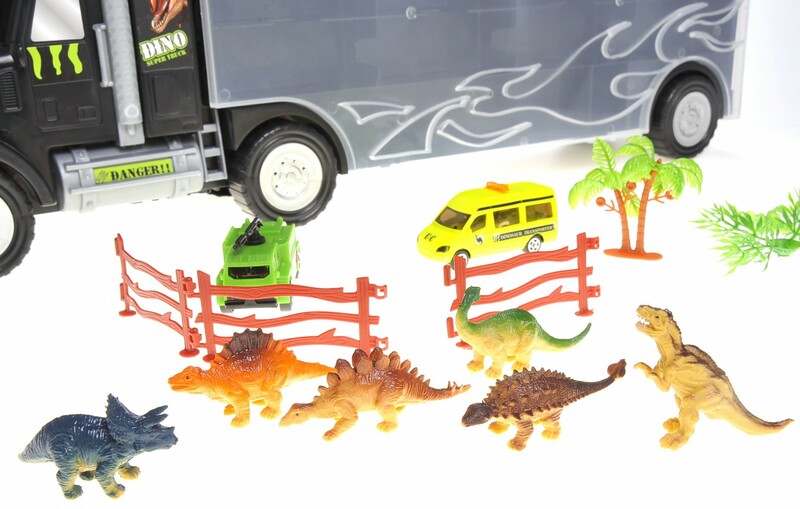 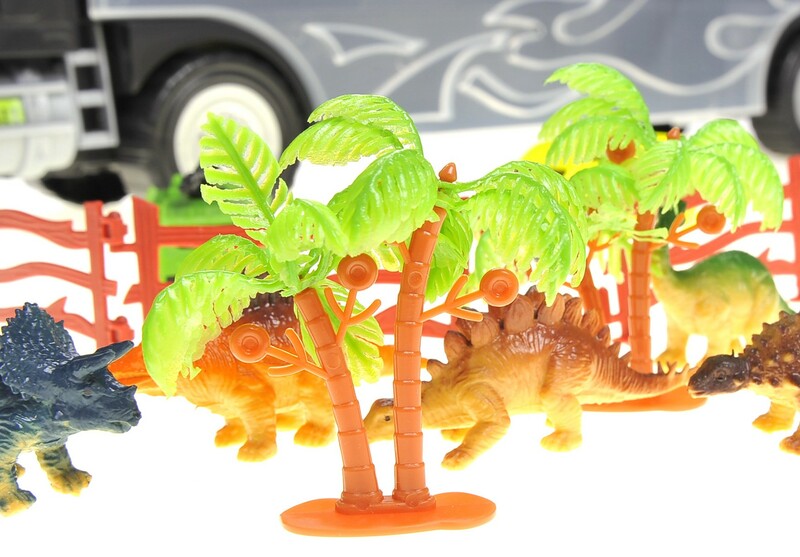 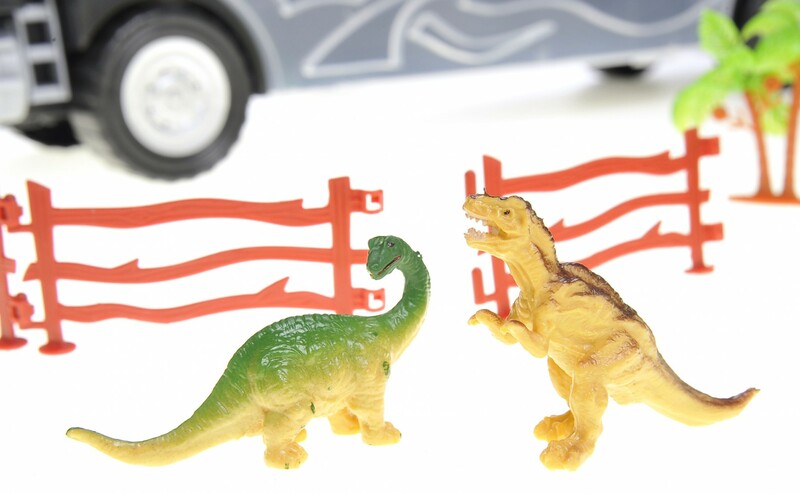 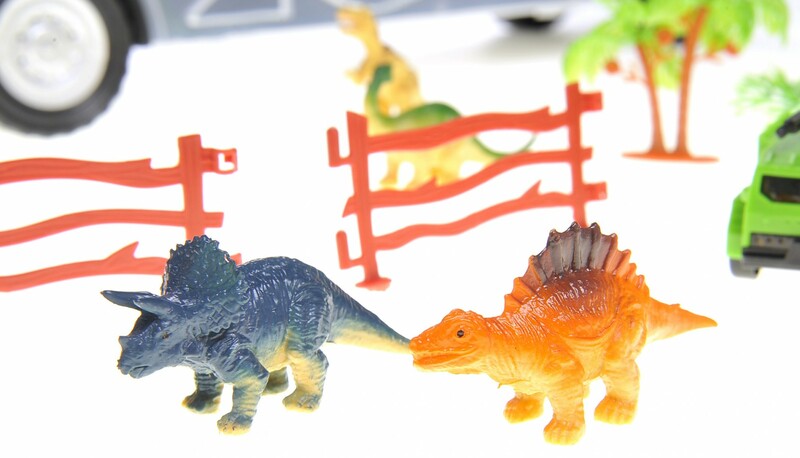 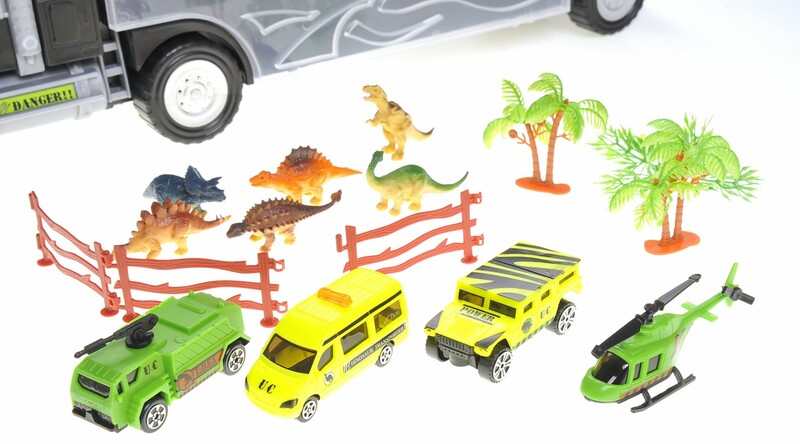 Have immense pretend play with 6 unique dinosaur pieces along with trees and other cars to set up! 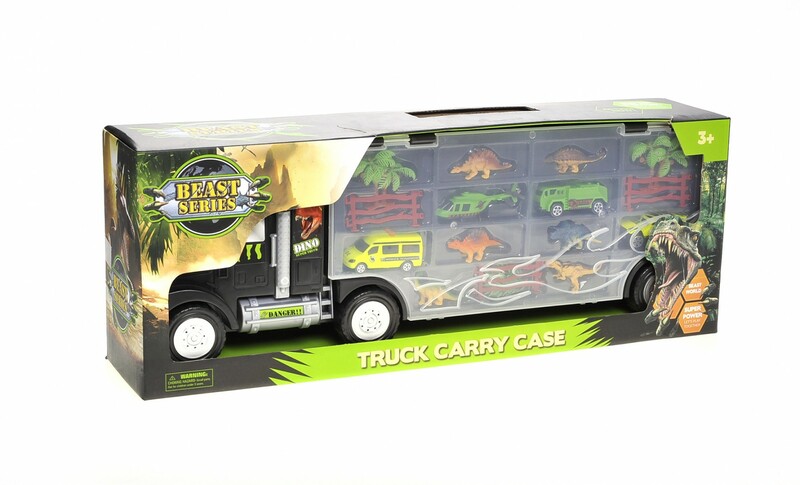 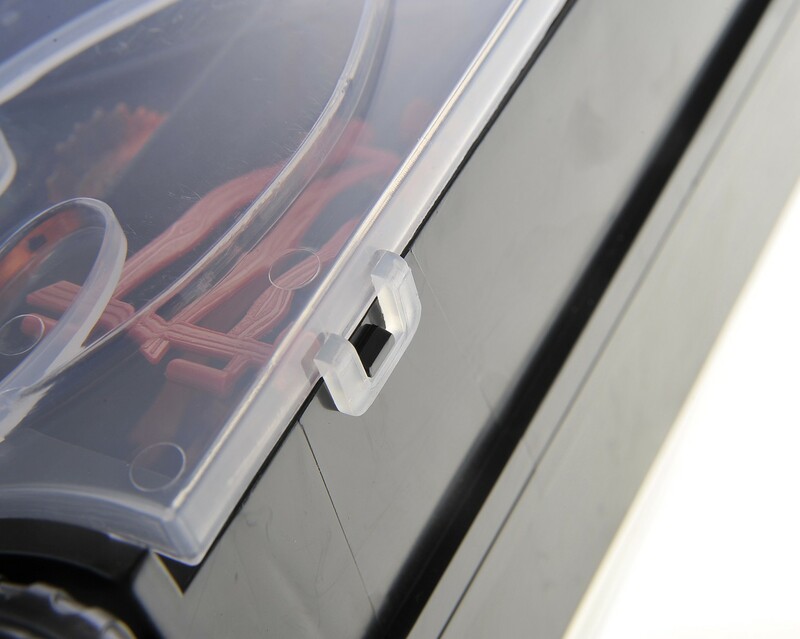 This set is easily carried with the handle on the top of the truck.